I don’t have a ton to say. I ruptured a disc in my back several years ago (which I don’t talk about much because it makes me feel like the old-lady emoji) and I seem to have re-annoyed it. After standing on my feet all morning baking scones my toes were going numb and it was hurting like hell. The whole point of this narrative is to tell you that I’m on hella painkillers + muscle relaxers so I’m afraid if I say much more than I already have, it will start sounding like mush. Plus Notting Hill is about to start and I can’t think of a better back-meds movie, can you? Lucky for you the recipe was already fine-tuned and transcribed as I’ve been making these for the bakery for several weeks now. I can also say that these are my absolute new favorite scones. Holiday in your mouth. The PERFECT addition to your holiday breakfast. Or just cause you’re feeling festive. Throw in a side of scrambled eggs, bacon and some champagne and you’re done. 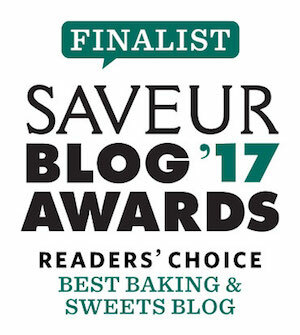 I have lots of recipes I’d like to get up on the blog pre-Thanksgiving but time churns on at a pace that I find harder and harder to keep up with. Is it just me? Just know that I have several other Thanksgiving breakfast + dessert ideas coming up…all with make-ahead options. I love make-ahead at the holidays because as soon as the first guest arrives I’d like a five-spice cranberry martini in my paw, hips swaying to the music of Dean Martin. That sounds amazing, right? I have lots of scone-making tips here and I also included some notes in the instructions below. These are a great, make-ahead breakfast item. You can make the scones now (up until the egg-wash step) and then freeze until Thanksgiving or Christmas morning. 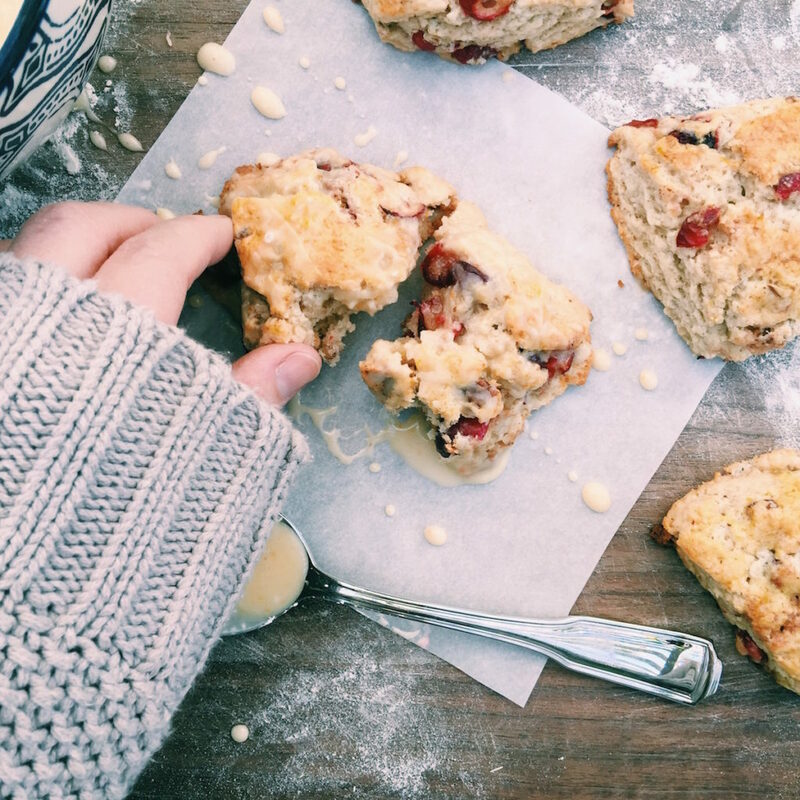 You’ll have fresh scones without worrying about making a mess in the kitchen. You can even pre-make your schmooey (I would do this the day or two before); it just may need some extra milk to thin it a bit prior to use. 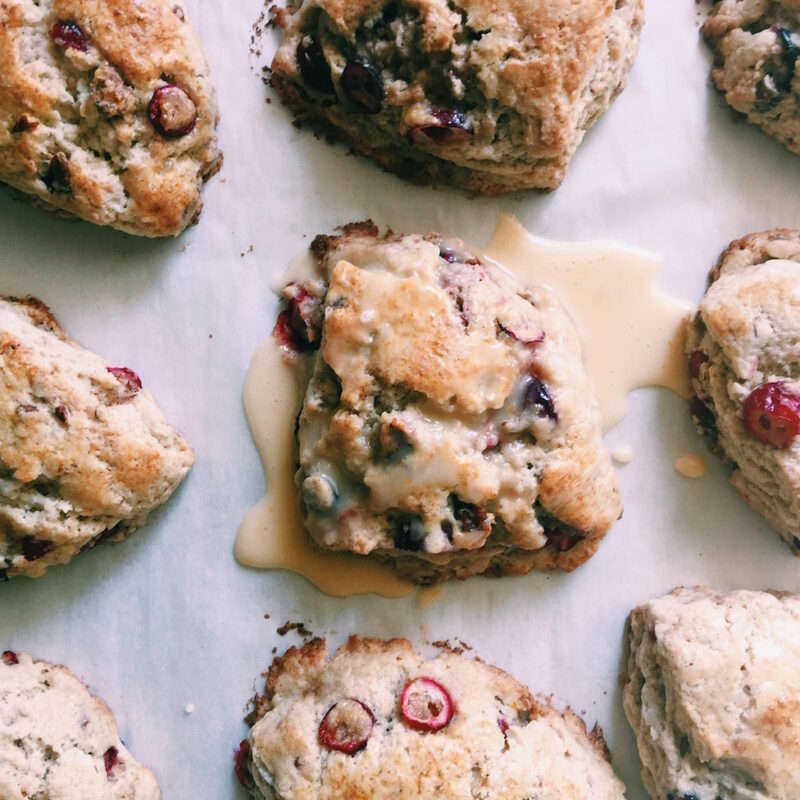 When you add items such as cranberries to your scones they bring a degree of moisture with them that can make your scone dough feel a bit slime-ish. I urge you not to panic. Be confident and soldier-forth, they’re going to come out perfect. I borrowed a technique that the Barefoot Contessa uses for her Cranberry Harvest Muffins (which are DIVINE, by the way) in which she makes a cranberry-sugar-yumminess mixture and folds it into the batter at the last step. I do the same with the scone dough, but it’s more of a fold and press-down action. I’ll explain it more down below. Cake Flour substitution: if you can’t be bothered with cake flour, then measure out 1 1/2 cups of all-purpose flour in it’s place. Then take out 1 1/2 tablespoons of flour and replace it with corn starch. 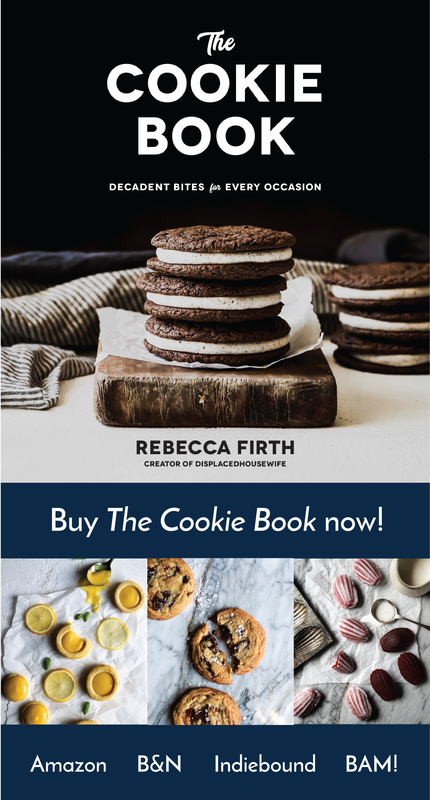 This will totally work in a pinch…but I would like it if you could stock your cupboard with cake flour. Do you think you could do that for me? Put some parchment paper or a silpat on two large baking sheets. Make sure a rack is in the top 1/3 of your oven. Chop up your 1 cup of cranberries. Can I just tell you that this isn’t easy. Knife + round item = annoying. They want to fly all over the place. Take it slow. I like a coarse chop with some cranberries left whole. Place the cranberries with the chopped pecans, brown sugar, granulated sugar, orange zest and five-spice in a medium bowl and toss to fully integrate. Set aside. 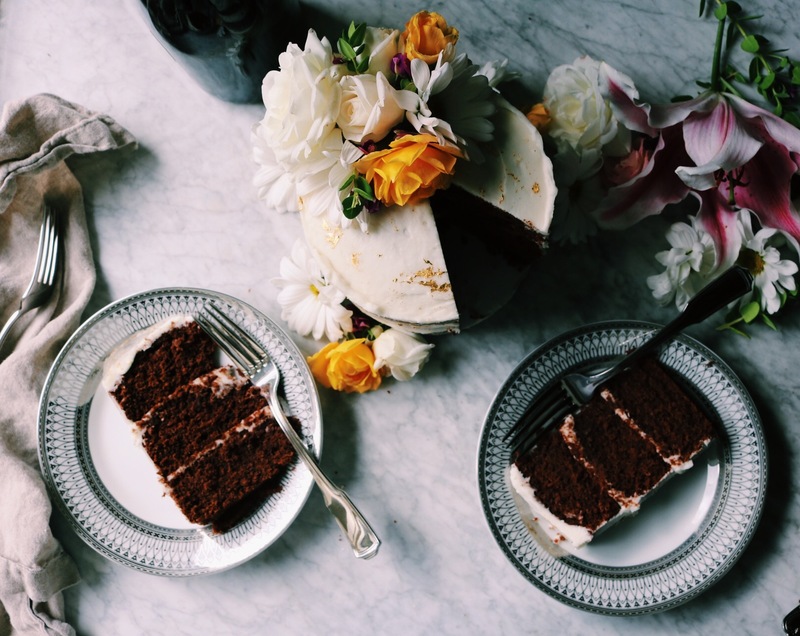 In a large bowl combine your cake flour, all-purpose flour, sugar, baking powder, cinnamon and salt. Fluff around and make sure everything is well combined. Measure out 3/4 cup of whipping cream, add your 1 egg and beat until combined. Set aside for a second. Cut up your 1 stick of butter into 8 chunks and sprinkle them about the flour mixture. Using a pastry blender, two forks or your hands, work the butter into the flour until it is about the size of peas. Drizzle the cream-egg mixture over the butter-flour mixture. Using a fork start stirring and a craggy ball should start to form. Be sure to get any rogue flour on the bottom of the bowl. Lightly flour your hands and a clean surface to put your dough on. Put your dough ball on the lightly-floured surface and cut it twice so that you have four, equal-sized hunks of scone dough. Using your floured hands, pat each hunk into a dough round, about 3/4 inch thick. Make sure your sides are a nice 90-degree angle and place your rounds on the parchment-covered baking sheet. If the dough is sticking a bit, add a wee bit more flour to the parchment paper so that they’re mobile. Place the baking sheet with the scones in the freezer for 20 minutes. If you don’t have a freezer that will accommodate, skip this step. Whilst the scones of freezing away, in a small bowl whisk together your egg yolk and milk…have a pastry brush at the ready. Using a very sharp knife (sometimes I even lightly-flour it), cut each round into four petite scones (so that you have a total of 16). No see-saw action, just a straight, up-and-down cut action. Place half of the scones on each baking sheet, spaced about 1 1/2 inches apart. Brush each scone with the egg-milk wash. At this point, you could freeze the scones on a baking sheet…set the timer for two hours. After two hours, you can get them out, wrap tightly with plastic wrap, then foil and then place in a freezer-safe resealable plastic bag and freeze away. Place the baking sheets with the scones in the oven for 13 minutes. You want them to have a nice, light tan happening…some gorgeous fissures forming…but we don’t want George Hamilton bronze…so start really watching them at this point. 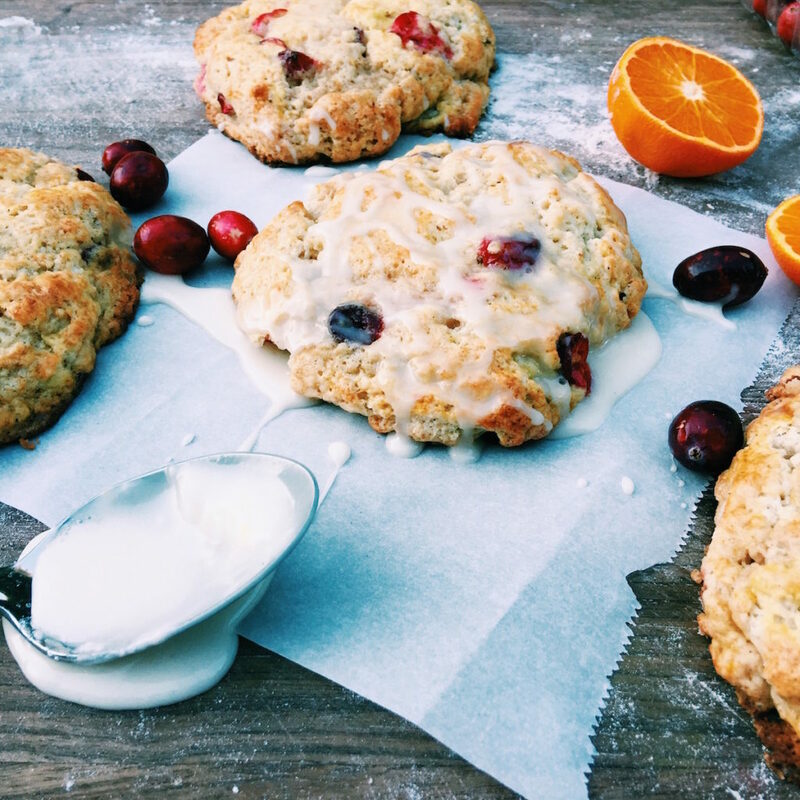 If your scones were frozen solid, they can go straight from the freezer to the oven, you’ll just need to tack on extra baking time, keeping a close eye on the areas around the fruit to make sure it’s cooked through. One last baking note…I recommend, in a standard home-oven, to bake one baking sheet at a time. I just think things turn out better that way. If you have the time, do it that way. If you must bake both baking sheets at the same time, be sure to switch them mid-way through baking. Let the scones cool on the baking sheet. These are pretty soft and the extra sugar added with the cranberries makes them a little more likely to stick to the baking sheet so use a spatula and move slow. While they’re cooling, whisk together the powdered sugar, orange juice and zest. Drizzle the schmooey all over the scones. More holiday goodness: boozy sugared cranberry coffee cake (another breakfast option), pumpkin scones (my favorite version), maple oat scones with espresso schmooey, cherry-pecan granola, persimmon salsa (an easy app), brussels sprout slaw, salted caramel pumpkin cheesecake and my five-spice cranberries (with ways to use them as an app, a side or a cocktail). I absolutely agree with you on using cake flour when making scones. They are lighter and I feel that scones last longer in a moisture/fresh kind of way. These look great! 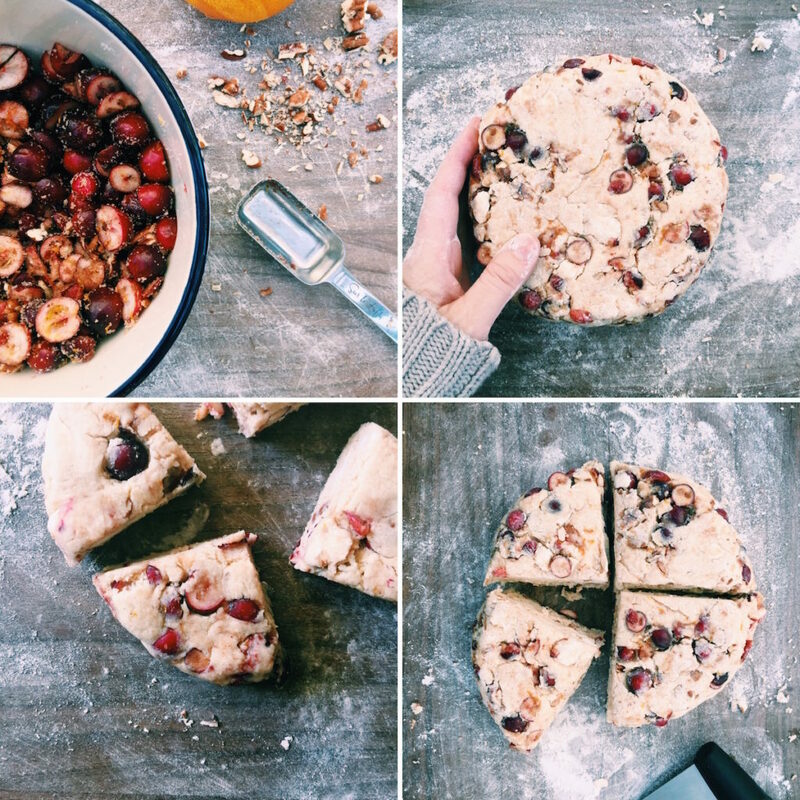 I’m not usually a scones kinda gal but your photos just make me want to eat these right now. :) Pinned!